Sherwood Double Hung - IV Construction, Inc.
Partitioned sloped sill delivers advanced water and wind protection with an additional interlock at the base for strength. Each Sherwood window has the exceptional DP50 rating without any additional reinforcement. Our patented Pivot-True G3 heavy-duty constant force balance system incorporates specially coated stainless steel coils for a guaranteed lifetime of smooth and quiet operation. These balances are specifically engineered for modern window designs that utilize the heavier triple pane or double strength glass systems. Balance cavities are fully covered for seamless, uncluttered sight lines directing focus on the outside view. Integrated sash interlock system eliminates drafts and provides secure protection unwanted elements, while providing tamper-proof peace of mind. Dual weatherstripping at the meeting rail supplements the design, providing the ultimate protection against air infiltration. 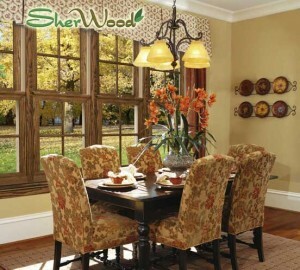 Unlike antiquated wood windows, Sherwood windows tilt in for convenient cleaning. Recessed cam locks and die cast tilt latch covers are available in modern decorator finishes to enhance the décor of any room.